Katrina Holland, interim board president of the Community Alliance of Tenants Action Fund, says Eddy Morales will be a champion for renters in the city of Gresham. Most of Gresham's rent-burdened tenants must make unthinkable decisions between food, medicine, childcare, transportation and housing. Unfortunately, the city of Gresham has a history of showing resistance to affordable housing development and strong tenant protections. As our sister organization, Community Alliance of Tenants, has been supporting tenants on the eastside, it's not uncommon for renters to describe the frustration of hearing about the protections other renters in other cities have that they don't have. 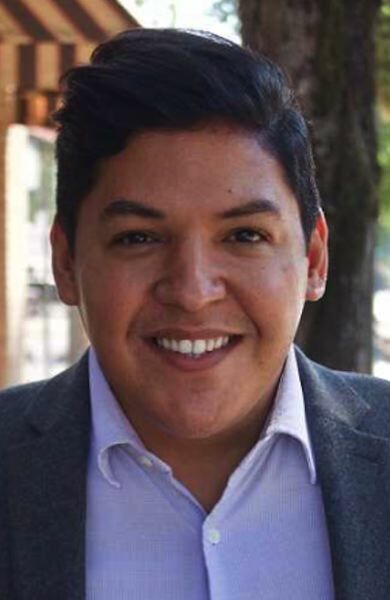 Eddy Morales shows strength and promise in positioning the city of Gresham as a leader in addressing tenant protections and affordable housing with a focus on equitable outcomes. Eddy demonstrates a commitment to key issues around stabilizing rents, ensuring renters get a fair chance at keeping their housing to remedy issues they may be facing, and ensuring a robust stakeholder process with reasonable but strong expectations. He also believes the city of Gresham should be a leader in addressing the housing crisis, exhibiting bold leadership Gresham renters really need. That's why Community Alliance of Tenants Action Fund recommends that renters in Gresham vote Eddy Morales for Gresham City Council Position 2. Eddy Morales will do his absolute best to make sure renters in Gresham are protected with meaningful legislation.